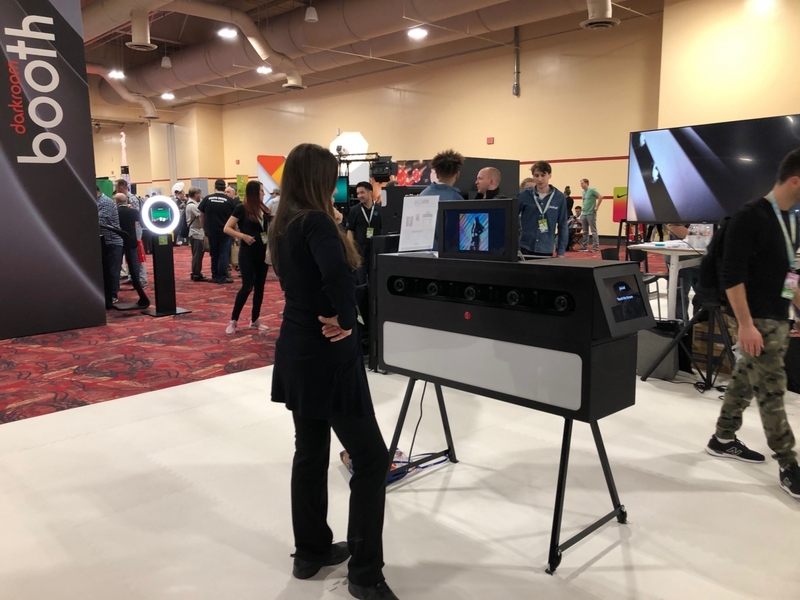 As technology moves forward in leaps and bounds, the photo booth industry is constantly producing innovation in both equipment and software at an ever-increasing rate. In an industry based on the human experience, social interaction and emotion, the humble photo booth is continually evolving. 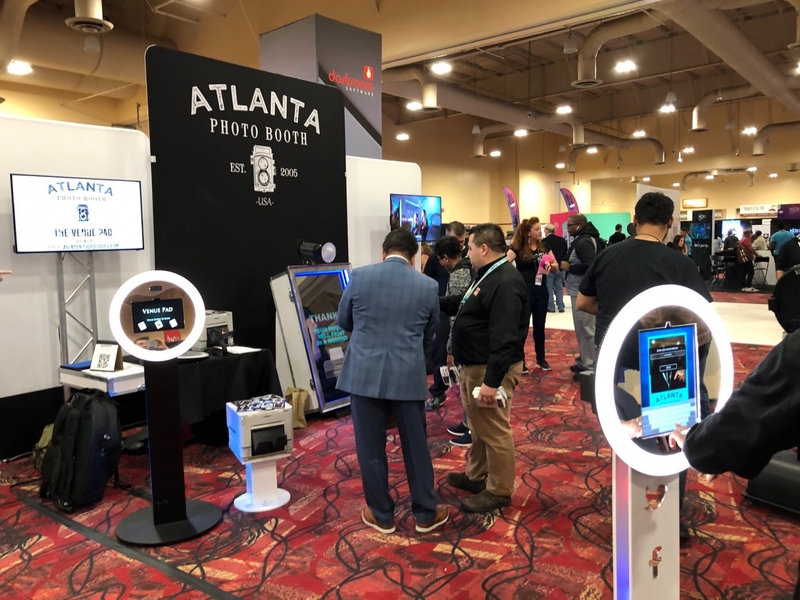 Each year Adept Photo Booths attend the Photo Booth Expo in Las Vegas which has become the single largest platform in the world to showcase innovation, collaboration and education for the photo activation space. 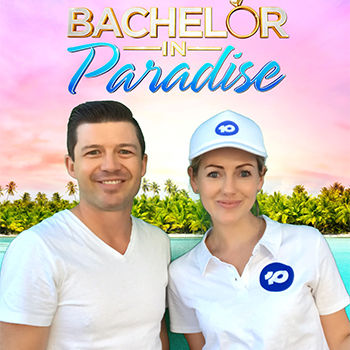 On this journey we look to educate ourselves on the latest global trends and advancements to bring back to the Perth photo booth hire market. 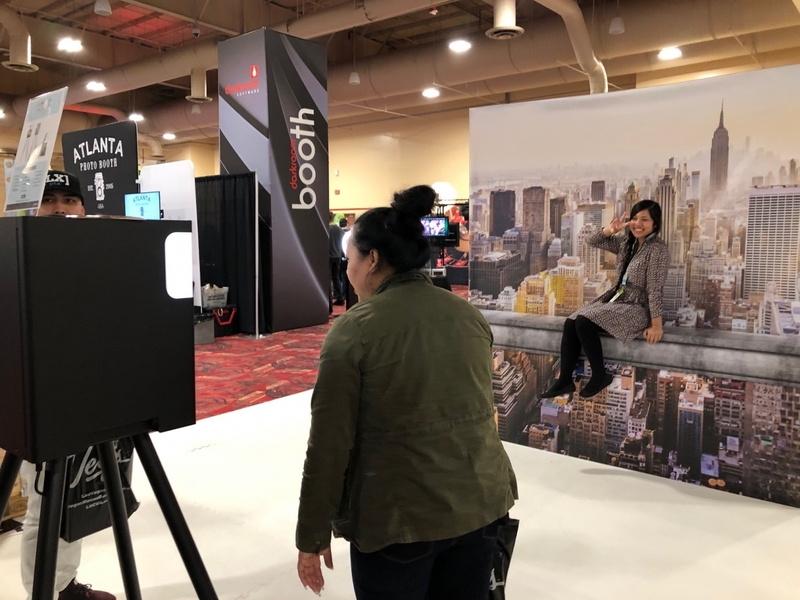 Here are our top 10 talking points from Photo Booth Expo 2019. In its 5th anniversary, the evolution in the photo booth industry can be seen in the Photo Booth Expo numbers. 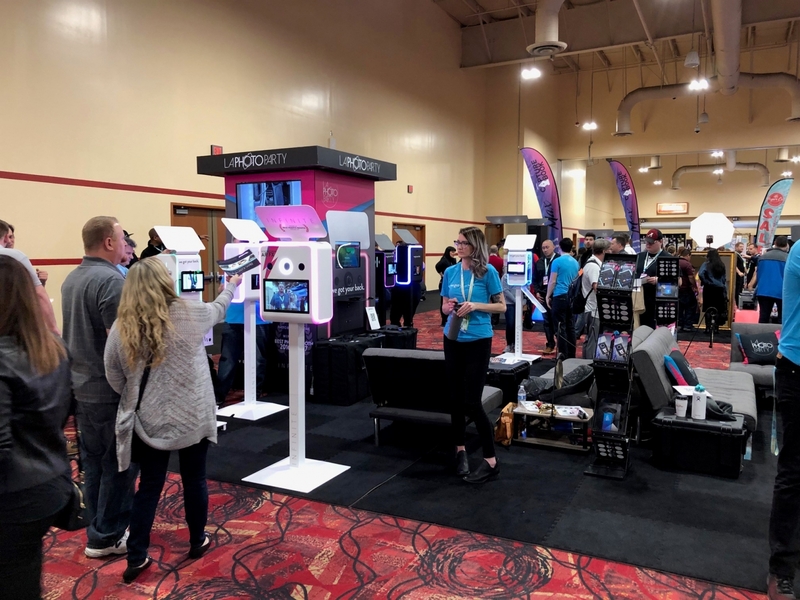 From humble beginnings of a 1,300 attendees, Photo Booth Expo 2019 had over 4,000 attendees and 120 suppliers on the trade show floor in an event over 4 days. In a maturing market we are seeing brands specialise and focus solely on the photo booth industry. 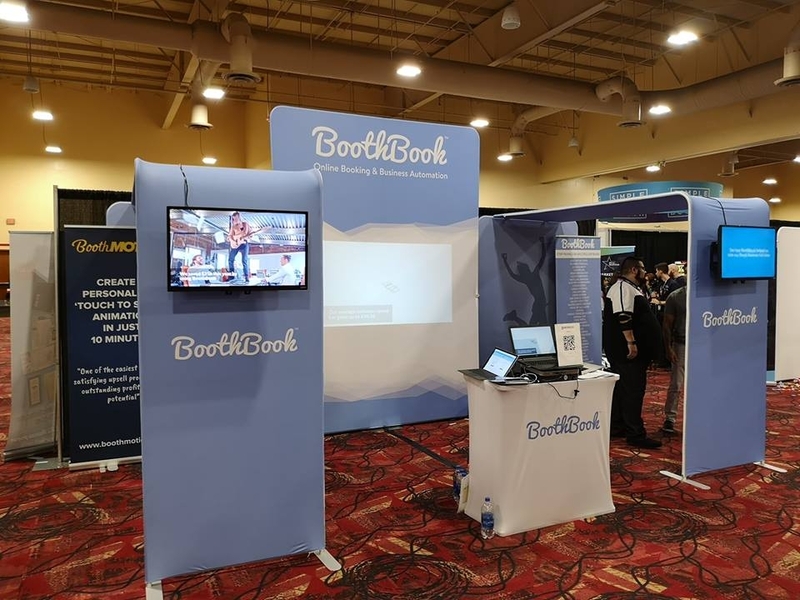 There are many photo booth manufacturers entering the marketing with specialist in CRM and automation such as BoothBook and Check Cherry as well as software developers and photo booth manufacturers continuing to push the boundaries. This growth is leading to increased innovation and the inevitable imitation in manufacturing that has widened the gap in quality between the leaders and the followers. In an effort to become more efficient and customer centric, automation is increasingly being applied to enhance the user experience. 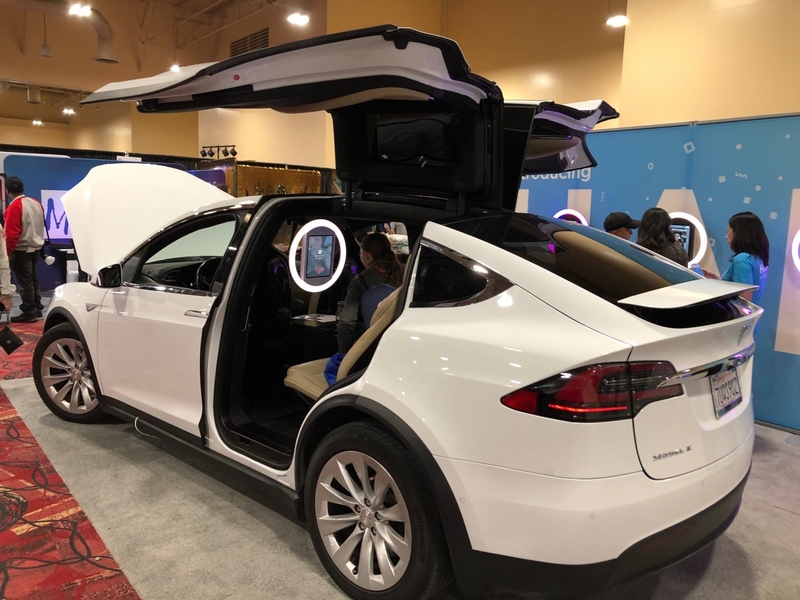 The topic was covered in detail by Super Booths co-host, Ryan Salinas, to deliver a seamless communications and workflow process from initial client enquiry to booking and fulfillment of the job. Various CRM systems such as BoothBook are leading the way in online booking letting the customer book in there own time and their own terms through an online booking system. Portable equipment is an increasing trend among manufacturers with iPad based photo booths dominating the trade show floor. 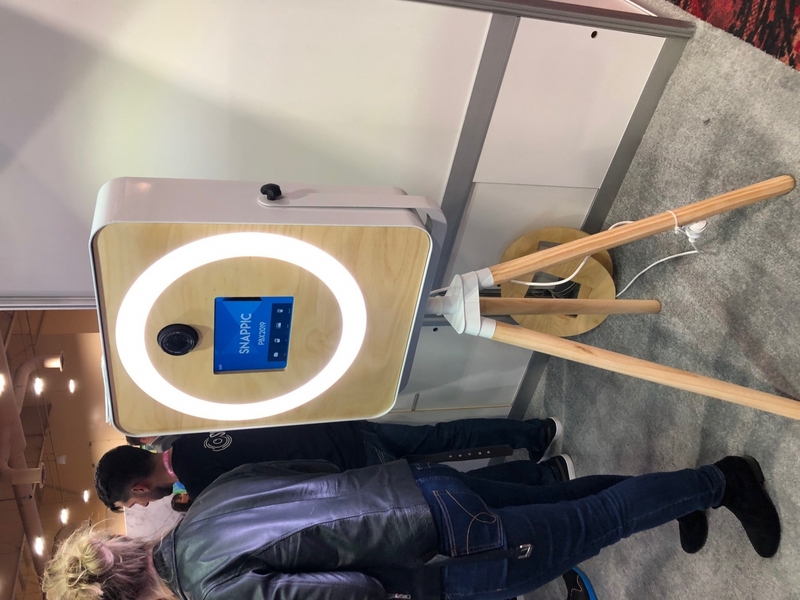 Roaming Photo Booths are also becoming more prevalent to enhance the clients experience with the photo booth no longer locked to one location at an event. 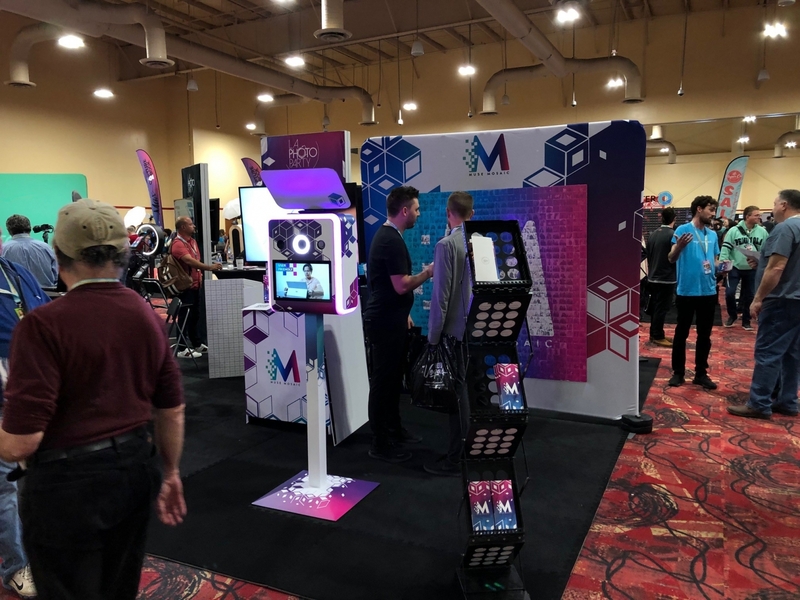 Mirror Booths are also evolving to become more mobile with Fusion Mirror Booth and the Mior Mirror Booth by ATA Photobooths releasing portable versions of the Mirror Booth. Some of the more complex photo booth set ups such as the multi cam array / bullet time photo booths are becoming more refined, hide wires and presenting a more professional look at events. These set ups allow the cameras to be locked in place for transport allowing for a much faster bump in time to increasing efficiency and professionalism. My pick of these products was the Booth Masters 11 camera Bullet Pro. The last year has seen a trend towards iPad based GIF Booths. The software available on iPads is becoming more exciting each year. 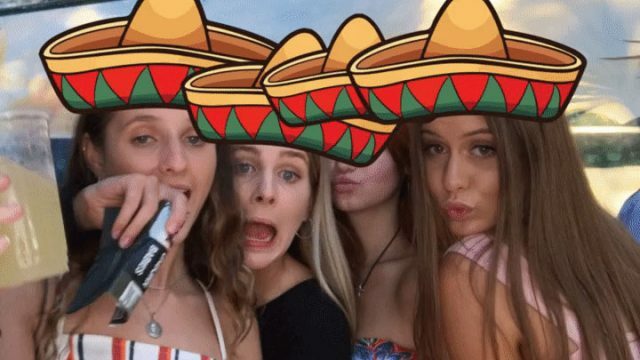 We are eagerly awaiting the release of video features by Snappic this April as well as the exciting developments out of Australian Based GIF Booth app developers Hula Booth, who are set to launch some exciting new features to their already impressive list. 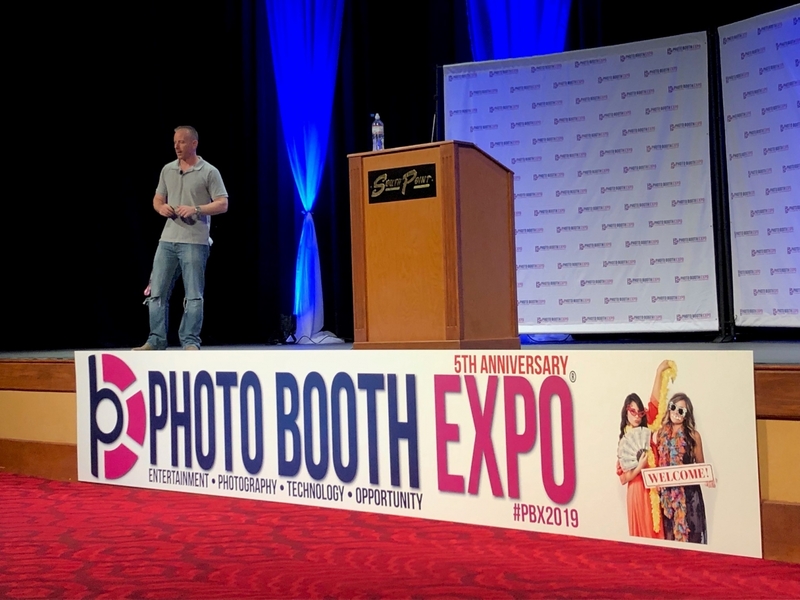 Leading DSLR photo booth software providers, Breeze Systems, are entering the ipad software space with some really impressive features demonstrated by Steve Bliesner from Wilkes Booth Co and The Photo Booth Guys. Photo Booths are no longer simply in the space of photo prints. 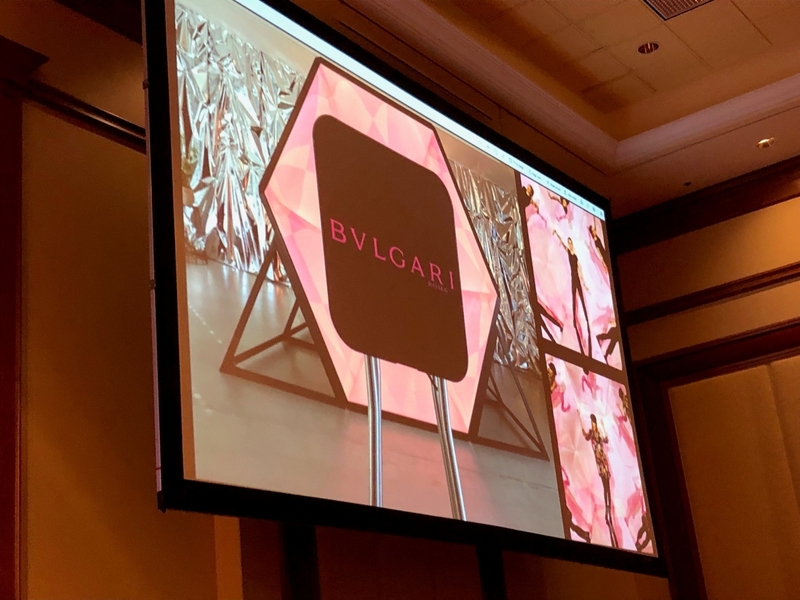 Social trends are now leading the innovation trends with video, GIF Booths and augmented reality now focusing on immersive and sharable content. Users are becoming the curators of their own experience with branded content gaining unprecedented ability to seamlessly integrate with content that users are compelled to share online. It is hard to look past LA Photo Party, The Photo Booth Guys and Yoda Booth in this space. LA Photo Party have a history of cool activations ranging from Under Water Photo Booths, Light Painting options with live view, Slow Motion Video and Face Morphing options that I took a closer look at this year. They also released a Mosaic product (one of four Mosaic options I saw on the trade show floor). Steve Bliesner from The Photo Booth Guys (also the creative force behind Wilkes Booth Co and Brand Ambassador for Breeze Systems) maintained their quirky personality to produce unique photo booths whilst making the seemingly impossible look easy. Steve presented a lesson in knowing the tools of your trade and focusing on the user experience which keeps The Photo Booth Guys a constant inspiration for what we strive to deliver for our clients in the Perth photo booth hire market. 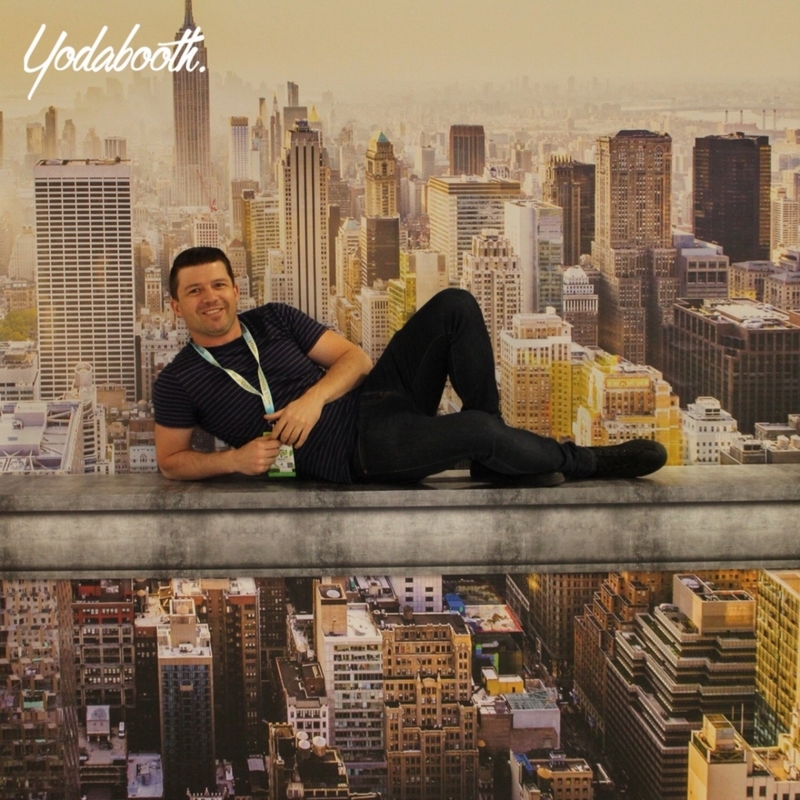 Sidney Valenta from Yoda Booth (despite his strong Belgium accent baffling many of the USA locals) showed some creative examples of content creation in his presentation and also on the trade show floor. The sharing of ideas and networking among the photo booth hire companies from all over the world continues to inspire us each event we go to whether it be BoothCon in Australia or Photo Booth Expo in Las Vegas. Whether it be improving process, creative ideas or business hacks learnt from other professionals in the industry, we always bring back a list of items to improve our offerings to the Perth photo booth hire market. Whilst there was a strong presence of price driven suppliers targeting the start-up market (a common occurrence in any emerging industry). Some manufacturers looked to buck this trend to differentiate themselves. Salsa Booth from Photo Booth Supply Co. were perhaps the best to convey this with a focus on community and scalability complimented by a unique style of booth. 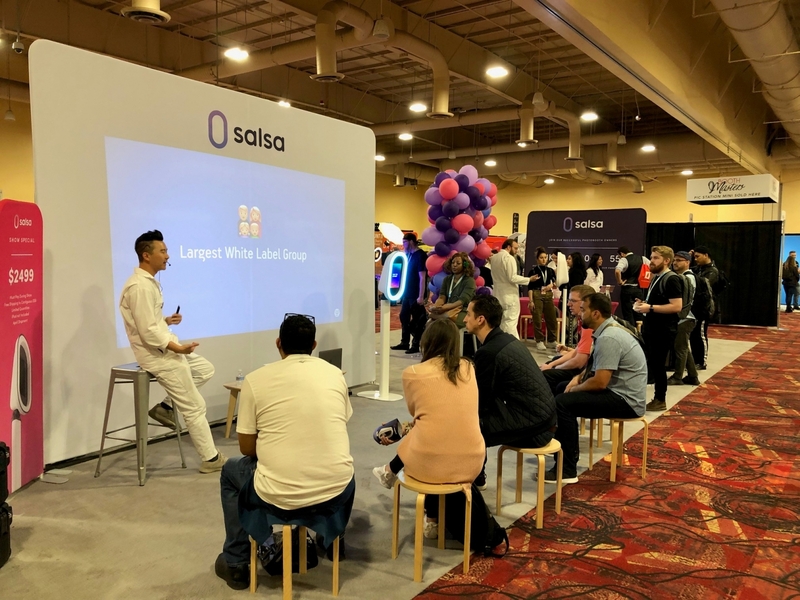 New to the market, the Salsa Booth presents a strong start up option at the premium end of the market due to the marketing support provided by Brandon Wong and his team. 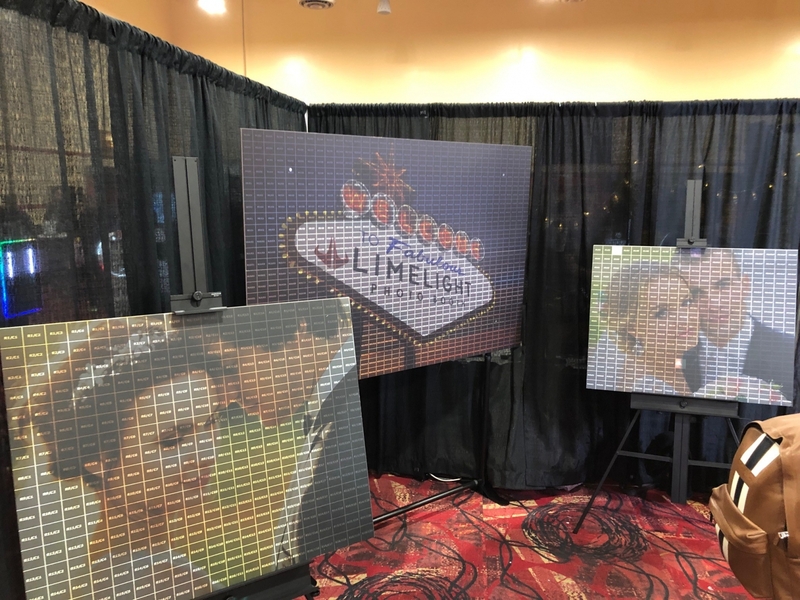 Some of the other product lines that have seen a stark improvement Since the 2018 Photo Booth Expo included the Mirror Booths, Array Multi Cam Systems and Mosaic Wall options now available. Unless I missed it, I did not come across one ‘traditional’ enclosed photo booth made from a solid structure. Options were still available in inflatable or tension fabric form, however the enclosed photo booth as many know it seemed to be more of an add on feature to an open photo booth set up. Is the enclosed photo booth dead? I don’t think so. But there is certainly a trend towards open booths that doesn’t look to be changing any time soon. 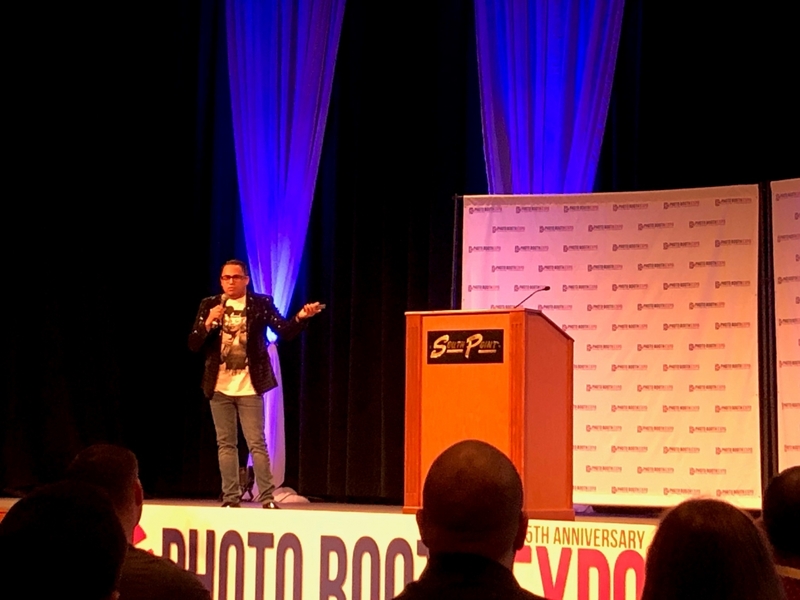 In my opinion South Point, Las Vegas present the ideal venue for Photo Booth Expo. 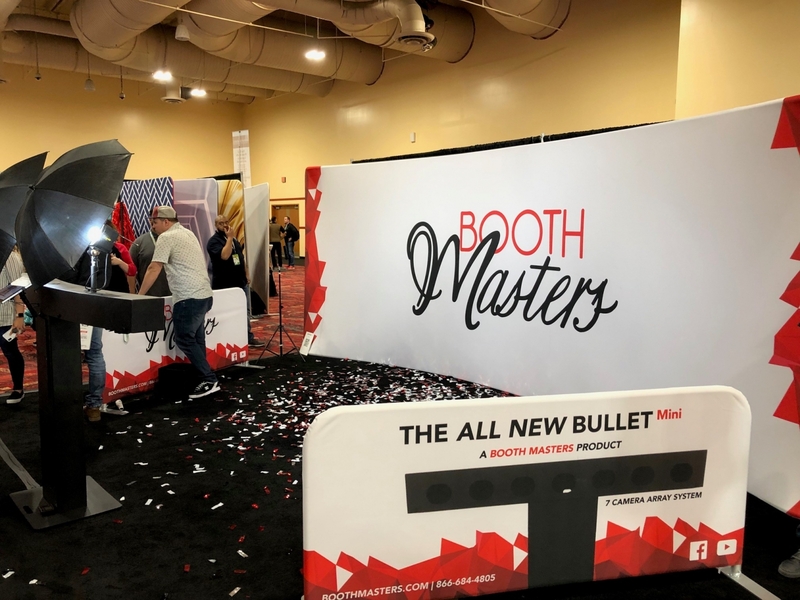 Whilst some may like to be closer to the strip or perhaps change cities to mix things up, the ability to secure a venue that can accommodate the growth of Photo Booth Expo can not be underestimated. 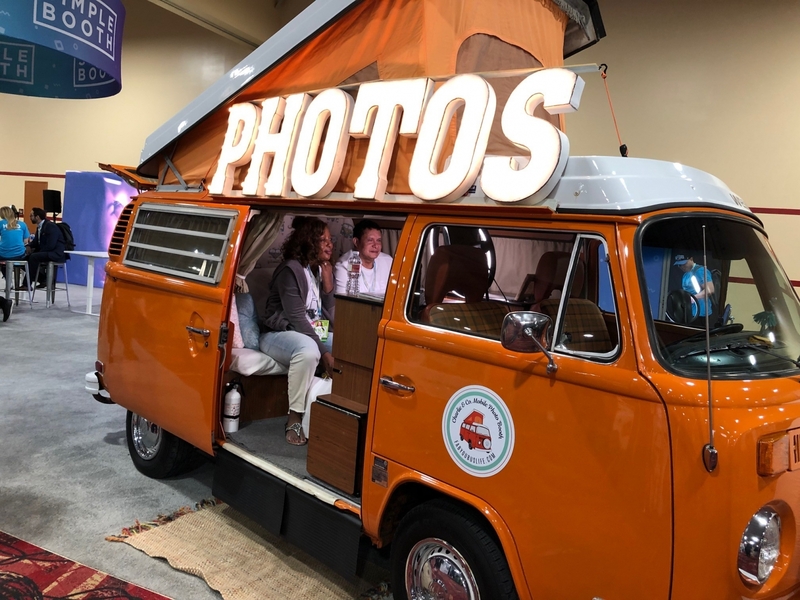 Add free parking, affordable accommodation and reasonable food options to the list and South Point Hotel and Casino helps to feed the community feel of the event with photo boothers taking over the venue for 4 days. Many of the companies already mentioned above are leaders on the world stage. 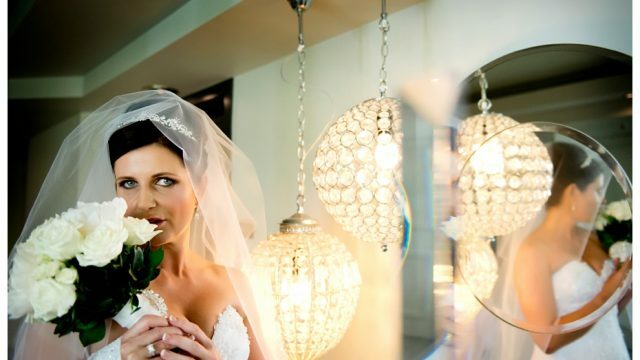 At Adept Photo Booths we like to believe that we provide a first-class photo experience for the Perth photo booth hire market in Australia. As we strive to improve what we do we will continue to look to others in the industry for inspiration. 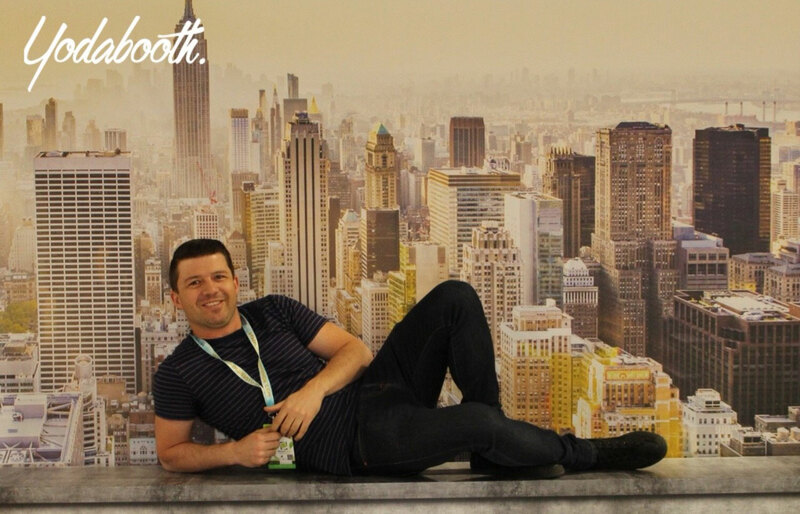 BoothCon and Photo Booth Expo will play an important role in pushing our own personal boundaries. We’ll be implementing several new businesses practiced and offerings very shortly and look forward to the journey of pushing our own boundaries of what a photo experience can be.